Postgraduate students (including Graduate Diploma of Dental Implantology and Graduate Diploma of Orthodontics) are required to complete Pre-Placement Requirements (PPRs) prior to placement. Evidence of your AHPRA registration. Medicare Provider Number: To treat patients at JCU Dental you will be required to obtain a new Medicare Dental Provider Number for the Cairns location. Apply for a Medicare Provider Number. Certificate of Currency or Professional Indemnity Insurance Certificate. JCU Health and Immunisation Form - all sections must be completed. First Aid Certificate and Cardiopulmonary Resuscitation (CPR) Certificate. Further information, including the relevant forms, can be located in the black tabs below. Using your JCU email account, email your completed documents to dthmplacements@jcu.edu.au and include your email signature in the body of your email. If you reside more than 50 km outside Cairns or Townsville, you should have your identification verified by a Justice of the Peace (JP) or other prescribed person using the Confirmation of Identity Form. Then email both your application and confirmation of identity forms (preferably as pdf files) to Professional Placement Unit. Enter Blue Card Application as the subject heading of your email. If you are a registered Health Practitioner (e.g. Dentist/Doctor) you are exempt from submitting First Aid, however, you are required to submit a valid CPR certificate from a registered training organisation annually. 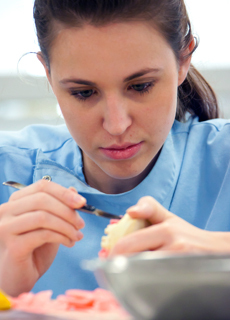 Students studying the Bachelor of Dental Surgery, Graduate Diploma of Dental Implantology and Graduate Diploma of Orthodontics must complete this at the beginning of each year. Exposure Prone Procedures please use this form to provide your annual exposure prone procedure status. Further advice relating to vaccinations and immunisation is available through JCU Health General Practice, Level 1, Clinical Practice Building, JCU Townsville, or your General Practitioner. 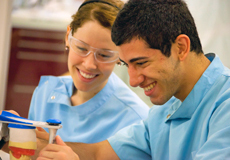 Only required by students undertaking a placement at the JCU Dental Clinic Townsville (Clinical Practice Building).